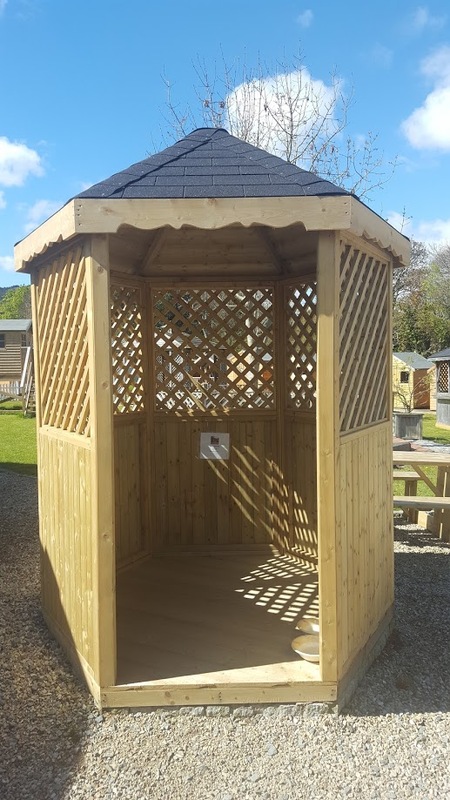 Don’t worry about the wind and rain with Wooden Gazebo. 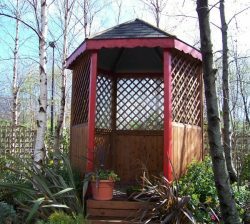 A timber gazebo will withstand the elements. 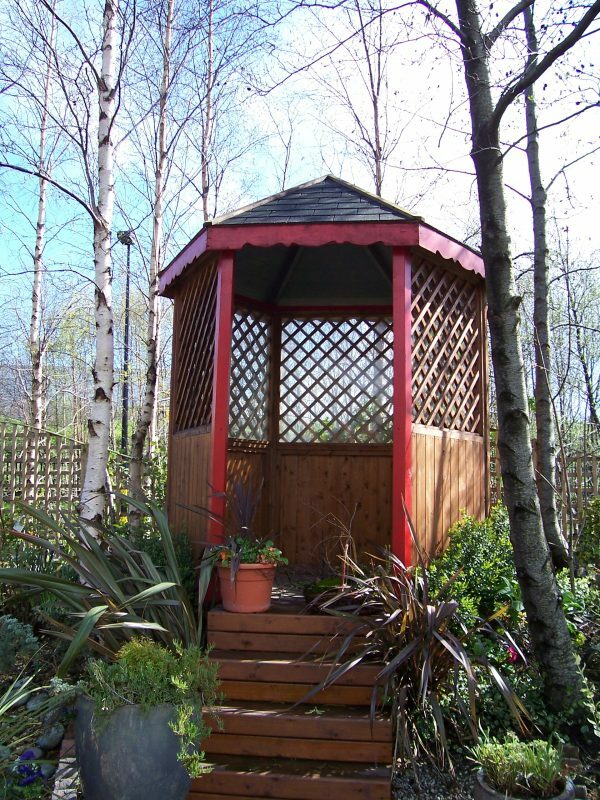 They a strong & solid outdoor living area and extremely practical for your garden. 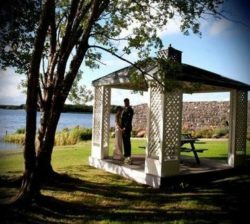 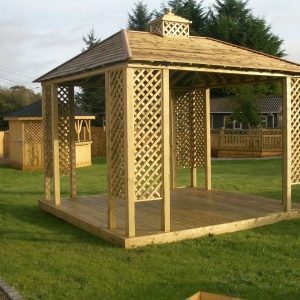 Our wooden gazebo is made from pressure treated pine & planed smooth to last for years. 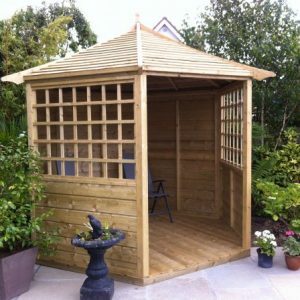 Some customers like to include walls with their timber gazebo. 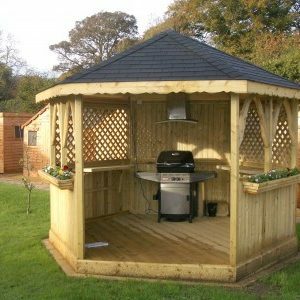 Simply get in touch us for advice on the various styles you can opt for. 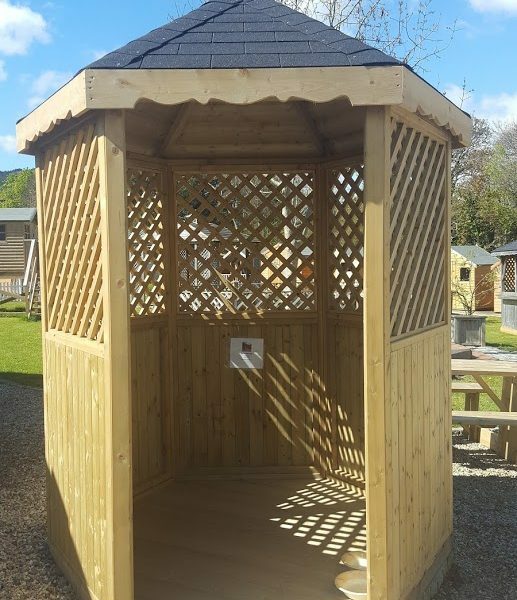 Please find the different finish options available.